What is Your Prebirth Lifeplan? Before this lifetime, you and your spiritual guides got together and created a plan, outlining what you want to experience and accomplish in this lifetime. Your lifeplan includes: The kind of relationships you will attract -- The nature of your contribution to the world -- How you will fulfill your highest potential and express your unique talents -- The karma you want to resolve, and more. lifetime must be designed to create the optimum environment for learning. What is Prebirth Lifeplan Astrology? Unfortunately, most of us forget our lifeplan when we are born. But fortunately, your lifeplan is encoded in your birth-chart. Therefore, your birth-chart can serve as a reminder of your plan - a map to help you travel your path through this life more consciously and fulfill your purpose more easily and effectively. Like most forms of astrology, Lifeplan Astrology uses the astrological basics - signs, planets, houses, aspects and transits. But what differentiates it, is that when I look at your birth-chart, I see a different dimension of the chart, a dimension which reveals your lifeplan - what you chose and why you chose it. You are an exquisite work of art. 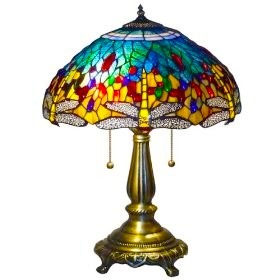 Like a Tiffany Lamp that is being created piece by piece, you are a unique and beautiful work of art in progress. As new sections of stained glass are added to the lamp, the more complete it becomes and the more radiant and beautiful is the light that shines through it. Similarly, as you fulfill the various aspects of your lifeplan, the more whole you become, and the more brightly and beautifully the light of your Higher Self can to shine through you. What are the advantages of knowing your prebirth lifeplan?  Make choices with greater clarity and wisdom.  Discover the role your relationships, work, family, etc., are playing in fulfilling your purpose.  Understand why the same challenging situations keep recurring, thereby empowering you to learn their lessons and move on.  Understand why certain people have come into your life.  Gain greater awareness of the traits, talents and gifts you are here to develop and express.  Understand the purpose of difficult situations which may appear random and meaningless.  Discover what you can contribute in this life. Your lifeplan reading will also cover what is going on now in your life. I'll shed light on how your current circumstances relate to your growth and lifeplan, and when difficult situations are likely to pass. For romantic relationships, family relationships, friendships, etc. In these readings, I compare your birth-chart with another person's chart to reveal the chemistry, common ground, communication dynamics and karma between you. Your reading can be done via Skype, WeChat, FaceTime, or phone. Please note: I do not offer written readings. However, you will receive a digital audio file of your session. 1. Fill out the Reading Request Form.  Be sure to include 2 or more preferred dates and times for your reading.  When choosing your preferred dates, please allow at least 1 week advance time.  All information you submit will remain absolutely private, and will not be used for anything outside of your reading. 2. When I receive your form, I'll schedule the session for one of the dates you've submitted, and will e-mail you that information. 3. When you receive the e-mail with your scheduled date and time, the next step is to pay for your reading. Please understand that requiring payment up-front is standard practice for this type of service. Also, I do quite a few hours of preparation before your actual reading takes place. You have my guarantee that I will contact you at the scheduled time of your reading. When you are ready to pay, clicking this button will give you the option of paying with PayPal or a credit/debit card. Jim Malloy has been a professional astrologer for 50 years. He was trained in 1968 at Berkeley Free University in Berkeley, CA. Over the years has done thousands of readings and has taught astrology at all levels. His readings are gentle and encouraging, and combine his astrological knowledge with intuition and empathy. His ability to perceive the dimension of your chart that contains your prebirth lifeplan is the result of a sudden revelation he had in 1986. Jim is also a meditation teacher. Trained in 1973 by Maharishi Mahesh Yogi, he has been teaching meditation for 45 years. He has taught meditation classes throughout the U.S. and in the U.K., and now globally, via The World Wide Online Meditation Center and other online venues, including Udemy, DailyOM, InsightTimer and Mindbliss. Copyright © 2018 Prebirth Lifeplan Astrology. All Rights Reserved. All text, graphics, HTML and contents of this website are protected by US and International copyright laws and may not be reproduced or distributed in any manner without the explicit permission of Jim Malloy.